BEAUTY: Does Real Beauty Come From Within? You often hear it said that real beauty shines from within – but how many of us really act on this? We aren’t talking just about diet and exercise here either, though these are very important factors. But that radiance comes from within people who also have a healthy and cheerful outlook on life – and who never seem to get too down no matter what life may throw at them. There’s lots of psychological evidence to suggest that simply “acting as if” something is true makes it so. In other words, if you exercise well and eat healthily, and you force yourself to smile and be happy no matter how you feel inside – it will have a beneficial effect. Fortunately for us, this June, JUST EAT have made adopting a cheery outlook easier than ever. For example, did you know that there are five Mondays in June this year? 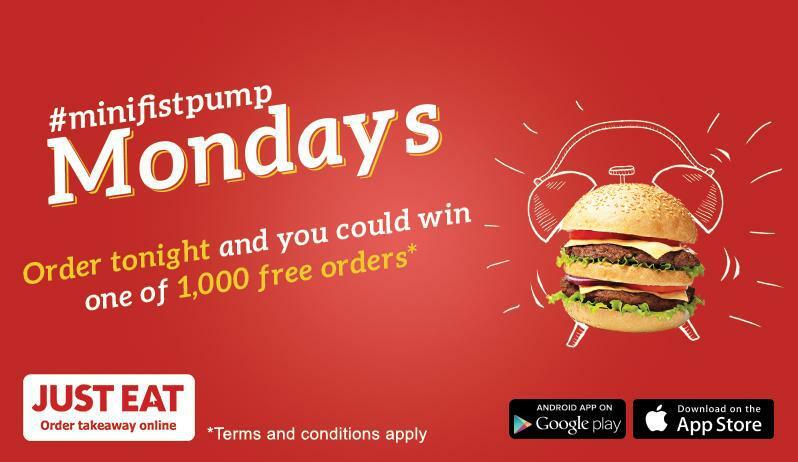 Now Monday isn’t always everyone’s favourite day of the week to say the least, but JUST EAT are doing all they can to make those five Mondays extra special. Simply download the app and get ordering – mainly on Mondays for June at least. If you win, it will most certainly help put a smile on your face – and you can double that up if you’ve ordered something from JUST EAT – and they make that a very easy thing to do as well. Better still, combine the ordering with a little exercise to ensure you’ve earned the treat and you’ll be ticking all the relevant boxes for real beauty from within. The happiest people we see around us have true beauty. They aren’t all always supermodels, and they aren’t always all made-up and dressed to perfection. Instead, they’re genuinely the nicest and most interesting people you’re ever likely to meet – and there’s nothing wrong with that. If you don’t believe all this is true, then do yourself a favour and give it a try for six weeks. Other people will notice the change in you because of what you think about yourself. You’ll become happier and more radiant. And that breeds confidence so it becomes a kind of self-fulfilling prophecy, an ever-upward spiral if you like – and you will like it… a lot! You’ll also find you want to make better choices as you see the changes within yourself. In this way – eating, exercising and having a good time through a positive outlook becomes not a chore at all, it’s just something you do purely because you want to. But don’t take our word for it, give it a try for yourself and you’ll soon find the old adage is true… real beauty comes from within. That’s a #minifistpump right there! Make sure you enter my USA beauty giveaway! Check out these blogs: Hedonist in Hats, Life of Ellie Grace and Callie Rose. Some of these items might have been sent to me for review purposes, see my full disclaimer here. Collab post, all content provided.